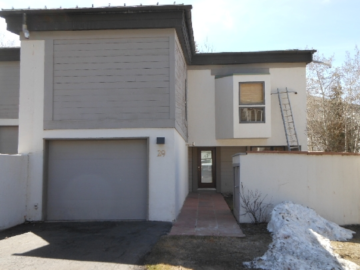 Photo for 950 Red Sandstone Road, #29, in Vail, Colorado 81657 from the Eagle County Assessor’s Office. Double Diamond, Ltd., a United States Virgin Islands Corporation, bought 950 Red Sandstone Road, #29, (also known as Potato Patch Club Condos, #29) in Vail, Colorado for $750,000 on May 3, 1999. The same day, Francisco de Alba, as Attorney-in-Fact for Double Diamond, signed a Deed of Trust for a $350,000 loan against the property from The Laredo National Bank. The condo was valued at $1,486,800 by the Eagle County Assessor’s Office as of 9/14/2017. Francisco de Alba twice personally guaranteed that Double Diamond would pay its loan (in 2003 and 2007). Double Diamond Ltd. refinanced the loan in 2013. 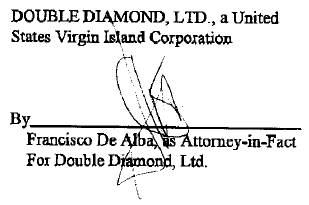 Francisco de Alba was appointed Attorney-in-Fact for Double Diamond Ltd. on November 18, 2013 by its corporate secretary and director. The Power of Attorney did not identify who owns Double Diamond. On November 27, 2013, Double Diamond Ltd. made a loan agreement secured by the property. The Deed of Trust filed in Eagle County Colorado for the loan agreement identified Francisco de Alba as the borrower with a maximum credit limit of $380,000. Shortly thereafter (December 20, 2013), The Laredo National Bank (by then known as Compass Bank) issued a release for the original 1999 loan. In June 2014, Double Diamond Ltd. took out a second loan for a maximum of $80,000. Francisco de Alba was identified as the borrower in the Deed of Trust filed in Eagle County. His full name was provided as Francisco Juan de Alba Barragan by the Mexican notary for the Deed of Trust. Francisco Juan De Alba Barragán worked in the real estate development industry in Mexico.